The beginning of Ian Fleming's third James Bond novel MOONRAKER is fantastic reading for any James Bond fan. 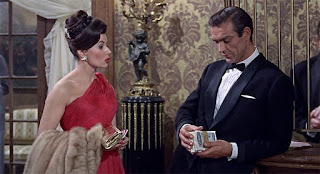 There we are treated with an ordinary day at work for James Bond. 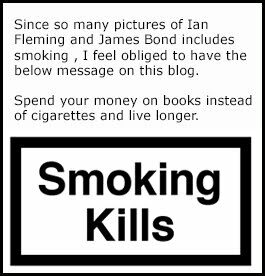 Ian Fleming also tells us the salary that James Bond gets for being a secret agent for the government. "He earned £1 500 a year, the salary of a Principal Officer in the Civil Service, and he had a thousend a year free of tax of his own. When he was on a job he could spend as much as he liked, so for the other months of the year he could live very well on his £2 000 a year net"
In other words if you do not follow. Bond has a salary of £1 500 and an extra £1 000 free of tax. There is 30% tax on the first £1 500 and this leaves Bond with £2 000 a year. 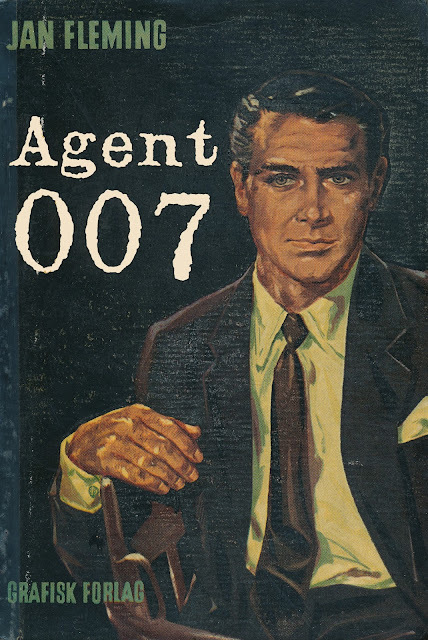 The book was published in 1955 so lets see what a salary for James Bond would be if we recalculate this into modern inflation. I used this calculator and it says that if James Bond had a salary of £2 000 net in 1955 that would equal £49 400 net in today's world. Using this calculator it transforms into $62 000. Please remember that we are always talking net figures here, after tax. He is supposedly on one mission a year according to Fleming. On these he gets all expenses paid. He also gets a vacation after every mission to "heal". I must say that he seems to earn a decent amount of money working at MI6. Would you sacrifice your life for queen and country and that salary. Feel free to comment below. Below you can see my Danish first edition of MOONRAKER simply called Agent 007.